Kitchens are the hub of the home, and serve a much wider purpose in today’s household than just food storage and preparation. The kitchen island sits at the center of this busy room, and has become an integral part of the layout in most kitchen remodeling projects. An island sets the tone for your kitchen style, divides up zones designated for work and entertainment, and provides extra space for all your requirements. Set your Style: An island holds a central position in the kitchen, and as such becomes a focal point for this room. Use it to set the tone for your design, by including cabinetry, countertops, and lighting that define your kitchen style. Whether your home is traditional, rustic, or contemporary, there is an island that will bring out your personal style. This sleek, modern island with a white waterfall countertop and contrasting dark cabinetry clearly establishes the contemporary style of the kitchen design in Washington Township, MI pictured below left. The unique, yet practical island pictured below right give this kitchen a distinctly European flair while also providing valuable storage. Divide up the Work: Kitchens layouts aim to achieve the ideal workflow required to simplify the functioning of your kitchen, and are often divided up into work zones or functional areas. These could include zones for food preparation, cooking, eating, entertaining, and more. The kitchen island is an ideal method of dividing up work zones as it offers a clear delineation between different areas in the kitchen. 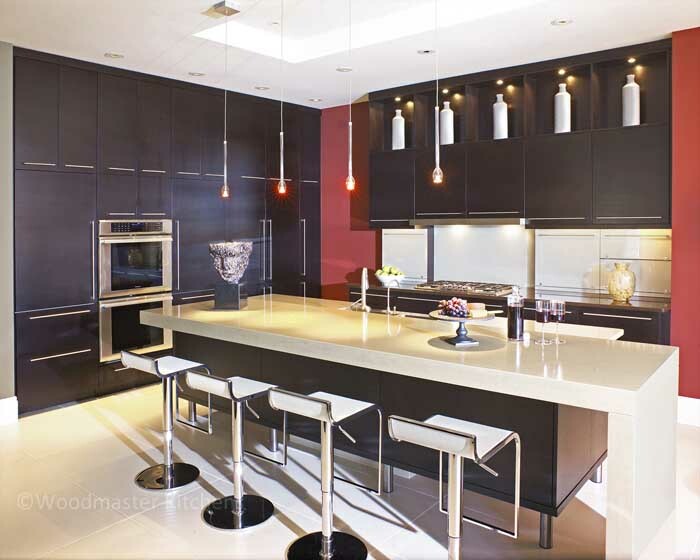 The elegant island pictured here easily differentiates the cooking, food preparation, and eating/entertaining zones. Create More Space: Storage and work space are always of utmost importance in the kitchen, and the island is an excellent way to fully utilize your kitchen footprint to get the most out of your available space. Cabinetry in an island supplements your kitchen cabinets, and may provide an interesting contrast when you choose a different color or style of cabinets. You also gain valuable countertop space with an island, and can even include a second sink, dishwasher, cooking area, recycling station, and more. Customize your Life: No two households are the same, and no two households will have the same kitchen requirements. Do you have a large family? Do you entertain frequently? Are you an avid amateur baker? If you are planning a kitchen renovation, make sure your new kitchen reflects your individual tastes, lifestyle, and needs. The kitchen island is an ideal place to incorporate additional customized features. For example, if you love baking you could install a countertop better suited to rolling out pastry and have specialized storage for your stand mixers and other baking supplies. 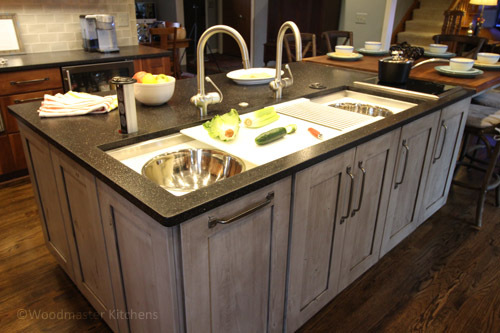 The Galley Sink is another excellent way to personalize your island by including a customized sink and work area, like the ones pictured below. The island is a prominent feature in most kitchens, but the key is to choose the right island for your home. In addition to your available space and budget, consider the style of your kitchen and what additional features will make your time in the kitchen easier and more enjoyable. 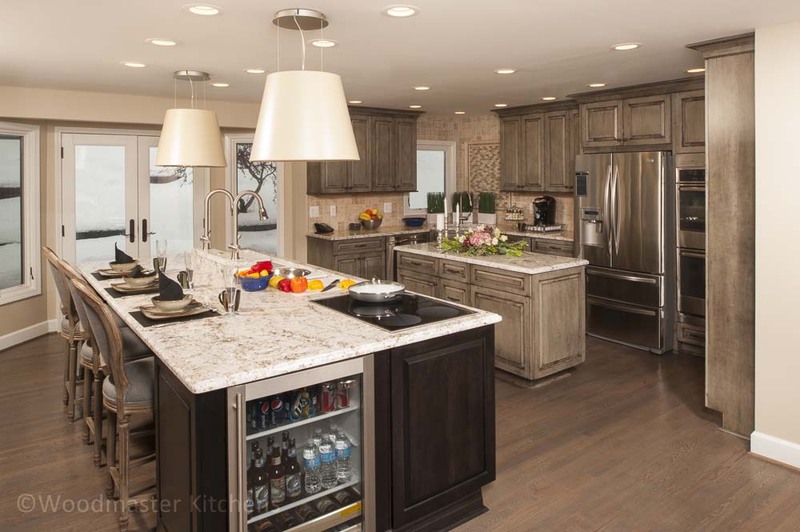 Contact us today to learn more about kitchen island styles and visit our kitchen design gallery here to see more island designs!